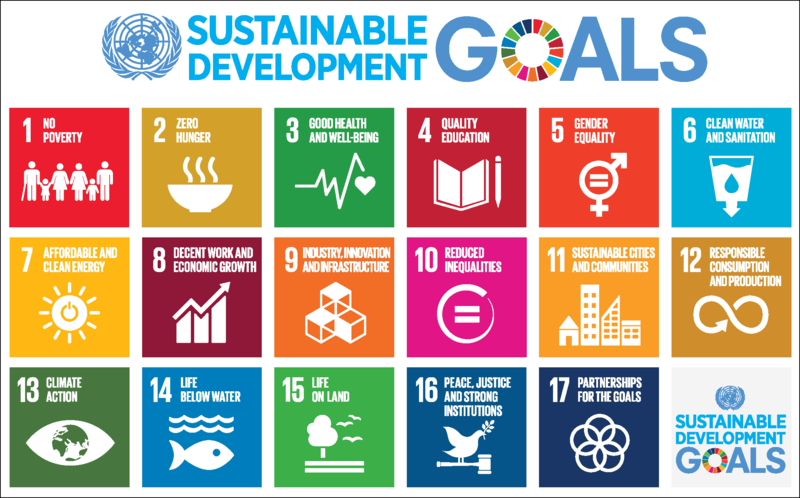 The Sustainable Development Goals (SDGs) were born at the United Nations Conference on Sustainable Development in Rio de Janeiro in 2012 with the objective of producing a set of universal goals that meet the urgent environmental, political and economic challenges that facing our world. The SDGs replaced by the Millennium Development Goals (MDGs), which started a global effort in 2000 to tackle the indignity of poverty. Bangladesh has earned many international accolades for the achievements in MDGs. Bangladesh has incorporated priorities of SDGs in all her development policies. While embarking on the journey to implement the SDGs, Bangladesh has translated SDG vision at the highest political level, by formulating an actionable Perspective Plan (2010-2021) and two Five Year Plans (FYPs) associated with this. The Government has adopted “Whole of Society” approach to ensure wider participation of NGOs, development partners, private sector, media and CSOs in the process of formulation of the Action Plan and implementation of the SDGs. Good Neighbors Bangladesh, a child centered organization is continuously further its effort to achieve SDGs and strengthen partnership with the global civil society. GNB has been working in Bangladesh since 1996 with the objective of improving lives of poor people, especially children through education, income generating activities, health services, water, sanitation and hygiene (WASH), child protection, advocacy, network building, and disaster risk reduction. The SDGs are unique in that they cover issues that affect all of us. Moreover, it is a commitment to end poverty, permanently, every where to build a more sustainable, safer, more prosperous planet for all humanity and making sure that no one is left behind. As per GNB’s mission statement and organizational values GNB settle up the 3-years plan (2018-2020) based on the following SDGs. 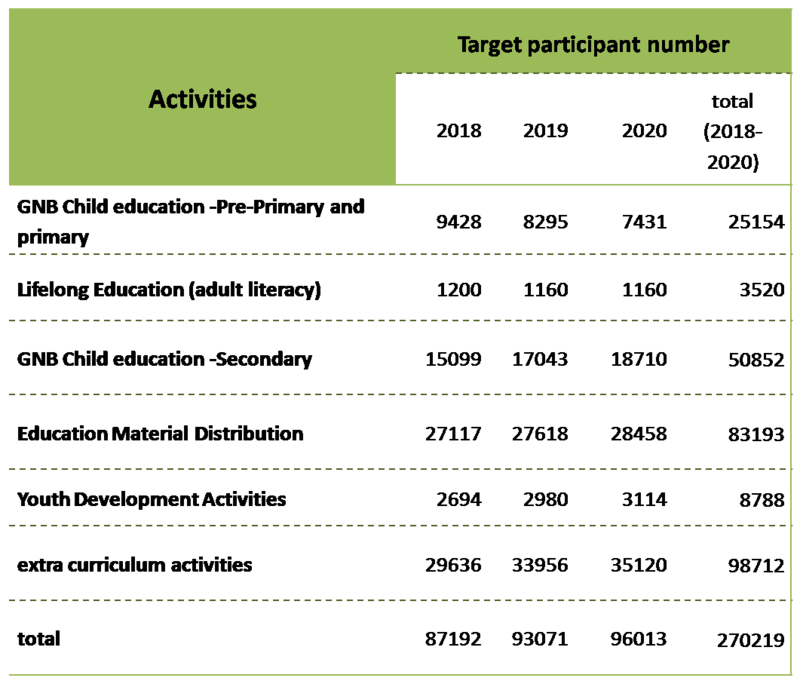 Future Target:Within next 3 years GNB wants to achieve 3929 more members under the mentioned 14 co-operatives [as per FD6 2018-2020]. By the end of November 2017 GNB has contributed in formation of 66 Income Generation Groups [Agriculture:2, Livestock and fisheries: 37, SME:27] having 1342 Members. To engage community people in business in group approach. And earn money by sell these items to the market. Example of our achievement: Bangle Sewing IG Group- is one of the successful IG Groups of Siragjanj CDP. It consists of 40 members whereas baseline income of the members was $00.95 per day at the beginning [in 2015]. But now their average income is $ 1.57 per day. And we have the target to take their income more than $ 5 per day in the upcoming years. Future Target: Within next 3 years GNB wants to form 60 more Income Generation Groups and achieve 1200 more members [as per FD6 2018-2020]. 2.1 By 2030, end hunger and ensure access by all people, in particular the poor and people in vulnerable situations, including infants, to safe, nutritious and sufficient food all year round Nutrition supplementation: To distribute nutritious food to malnourished children by standard health check-up. 2.2 By 2030, end all forms of malnutrition, including achieving, by 2025, the internationally agreed targets on stunting and wasting in children under 5 years of age, and address the nutritional needs of adolescent girls, pregnant and lactating women and older persons Nutrition supplementation: To distribute nutritious food to malnourished children by standard health check-up. GNB works to improve the healthcare services in the communities especially the rural poor through diverse, sustainable and effective healthcare activities, in order to mitigate the critical and cost-effective input of essential health services, development of the child health and strengthen health system at low cost. GNB’s focuses on the increased accessibility of public health facilities in the target area by defining and decreasing the vulnerable diseases from the community. GNB health program aimed at providing an essential health service package for women, children and the poor, reaching the underprivileged and deprived community GNB’s front line community health service provides door to door service to the community people. Health has universally recognized an important aspect of human development. Without the development of health, overall development is not possible.T he highest attainable standard of health is a fundamental right of every human being. 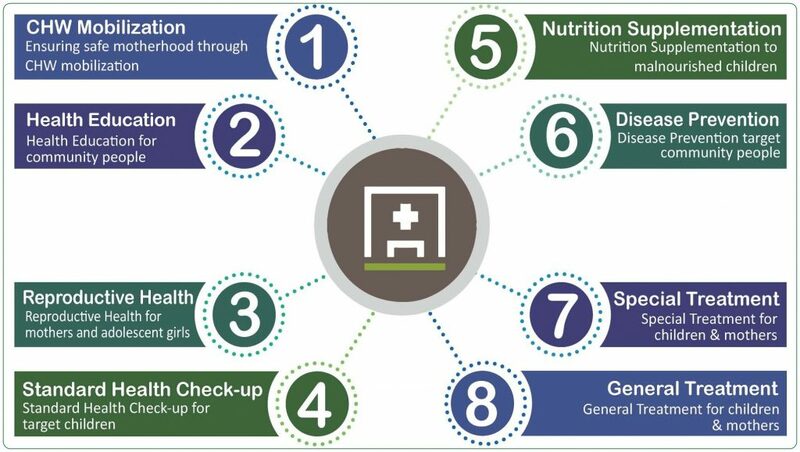 Keeping that in mind GNB has implemented different health programs such as nutrition supplementation, health checkup, prevention (vaccine and disease control), general treatment, special case studies, community health worker mobilization, reproductive health care and the health service advocacy. To implement the health service, GNB Health has reached the destitute community through community health workers (CHWs) who provide and ensure door to door health service by facilities guardian, promote MNH services, do a home visit, cluster meeting and awareness session in the community. To provide the highest level of healthcare services to all of its beneficiaries, GNB is committed to cover majority by improving the equity and quality of services, especially to reach the rural poor and the disadvantaged, who have limited access to healthcare information and services. Good Neighbors Bangladesh (GNB) works to protect children and youth and provide them with access to education and a safe environment. GNB ensures the primary and secondary education facilities for the children. In addition, GNB also supports infrastructure development through the construction, renovation and maintenance of school buildings. GNB also trains teachers and develops teaching curriculums to improve the quality of education for the children. GNB runs conventional education at its own schools and after-school centers to support the healthy growth and mental development of children. Besides taking special care for students weak at English and Mathematics, we operate various activities in those centers such as arts, physical education and cultural activities for helping children to pursue their dreams. In addition to protect children from child labor, child marriage and other child rights related issues GNB emphasis more to establish CRC at its working area. As stated at target no. 5.5 [Ensure women’s full and effective participation and equal opportunities for leadership at all levels of decision making in political, economic and public life] GNB encourages mothers/women in the community to be involved in income generation activities. And 1332 IGGroup Members all are female too. These women not only do income generation activities but also take parts in different social activities like child marriage prevention and gender equity based awareness programs. 66 Income generation Management committees having 5 members in each. All these members related to management, take decisions of their own to run co-operatives and Income Generation Groups. All the co-operatives and Income Generation Groups take at least one training each year to build up their capacity. Beside this GNB also working to empower women through arranging various campaign and awareness session on women rights and social misconception. To protect the rights of the adolescent girls, GNB also arrange various activities to protect them from early marriage , eve-teasing and child labor. 60 more management committees will be formed and minimum 126 skill based training will be arranged in the next 3 years . 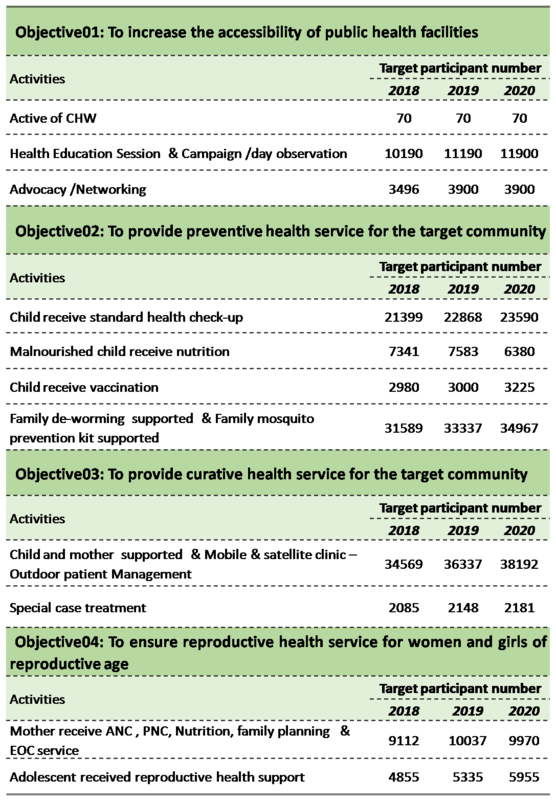 88622 women will participate in various women rights and social issue based campaigns and session. GNB is playing important role to make women self-employed through Co-operatives and Income Generation Groups. Future Target:Within next 3 years GNB wants to involve 3929 number of women in self-employment initiative through co-operatives and 1200 more women in Group approach business through Income Generation Groups [as per FD6 18-20]. 10.3 Ensure equal opportunity and reduce inequalities of outcome, including by eliminating discriminatory laws, policies and practices and promoting appropriate legislation, policies and action in this regard > GNB is working to reduce inequalities and involving woman into income generation activities. 10.5 Improve the regulation and monitoring of global financial markets and institutions and strengthen the implementation of such regulations > Now GNB is cooperating to sale IGG product in abroad such as Wool string and jute product, Bangle cube etc. 10.a Implement the principle of special and differential treatment for developing countries, in particular least developed countries, in accordance with World Trade Organization agreements > IGG Group are now contraction with abroad for selling their product such as Give store and Merry coops. 10.b Encourage official development assistance and financial flows, including foreign direct investment, to States where the need is greatest, in particular least developed countries, African countries, small island developing States and landlocked developing countries, in accordance with their national plans and programs > IGG Group are now contraction with abroad for selling their product such as Give store and Merry coops. 16.7 Ensure responsive, inclusive, participatory and representative decision-making at all levels == 14 Co-ops & 86 IGGs are going smartly through the inclusive participation and frequently taking decision as the practical situation. GNB encourage local communities and groups such as Community Development Committee, to engage in decision making process. Moreover we work together with local government and related agencies to maximize influence on the society. We also organize Local youth to participate voluntarily in the development work for their own society. GNB’s 2018-2020 target is to involve 889 participants into various type of networking and partnership related works.